There have been a lot of personnel shuffles within Tesla's energy group. Anonymous, unsubstantiated comments included: "Another round of layoffs" and "All of Solar is gone." Claims that Tesla is shutting down its solar energy division circulated on social media. "As we continue to grow our Energy business, we are consolidating the Energy Support team in one centralized location, which will save money and enable our colleagues to work together more effectively and efficiently. This decision will impact approximately 150 employees, with 100 of the affected employees located in our Draper, Utah location. All affected employees will have the opportunity to apply for a transfer to other roles within Tesla. We understand these changes can be difficult for those who are impacted, and we will be providing employees with transition benefits and assistance during this process." About 100 people will be moved out of the Draper, Utah office, but that office will remain open and is, in fact, hiring. 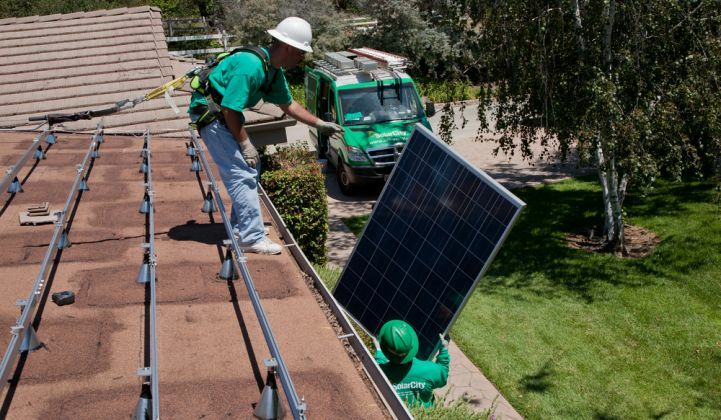 There has been a lot of change at SolarCity, once the largest residential solar installer in the world. Elon Musk's car company acquired/rescued SolarCity in late 2016 for $2.6 billion in stock and the assumption of approximately $3 billion in debt. Sunrun has replaced SolarCity as the leading third-party-ownership financier. And Tesla's solar installations have plunged. Tesla has told GTM that it expects solar volumes to remain "relatively stable" despite having completely changed its sales strategy — selling solar and energy storage exclusively at its retail locations and online. SolarCity's door-to-door sales channel was dropped, as was its in-store partnership with Home Depot. Tesla laid off 9 percent of its workforce in June of this year and the solar group has seen its own additional layoffs and facility closings. We expect to learn more about the results of its evolving sales strategy during the Tesla earnings call in early November.